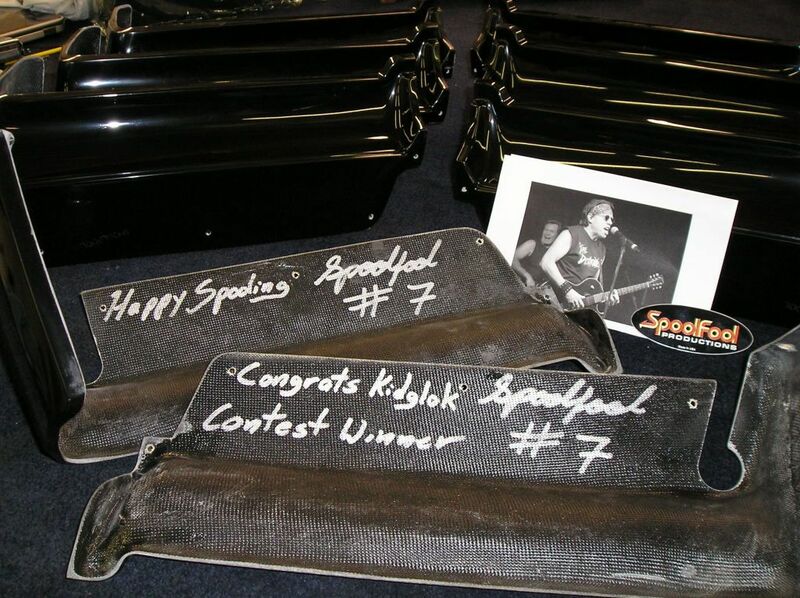 Spoolfool's new front bumper fillers for sale. 84-87 Buick Regal fiberglass front bumper fillers. It's now official. The front fiberglass fillers to match our very successful one piece rear fiberglass bumper filler are now in production and selling. This is the only front fiberglass bumper filler that has the correct groove for the headlight bezel. Just like our rear fillers, the fronts are hand laid (not chopper gun), made in the USA, with a very nice black jell coat. This black jell coat is NOT a perfect match for a new black paint job. However, It's better than most of the paint jobs that I see and should look fine until you have the time and money to paint your whole car. Price will be below in my sig. PM or call for shipping costs. Will post more pictures soon. another fine product , from someone who CARES! I think that you have really out done yourself this time. Dammit. Just when I start saving for the rear fillers, you come out with the fronts. This paint job just got more expensive . Congrats you now have the best looking front & rear fiberglass filler on the market. Nice Job Mike !!! I invite all who have (or will) received these fillers to post your feedback on this thread. Thanks everyone for all the support on this project. It makes all the hundreds of hours spent, worth it. I just posted a video in the "How to's" section on how easy it is to install these fillers. Whether your installing my fillers or someone else's, this video should cut your install time in half. The volume is kind of low, so you'll need to crank it up to hear. Getting ready to make a install video for the rear filler too. Guess I've been so busy doing videos I forgot to post pics. If it's not raining, I'll shoot a few of my car and post em up today. HEY MIKE ! GLAD TO SEE THING'S ARE GOOD YOUR WAY .. GONNA BE ON T6P LATER ? I'VE GOT SOME FUNNY STUFF TO SHOW YOU GUYS FROM WORK . I DONT SEE HOW THESE GUY'S SURVIVE !